Worried about your network? – Frustrated with SPAM? 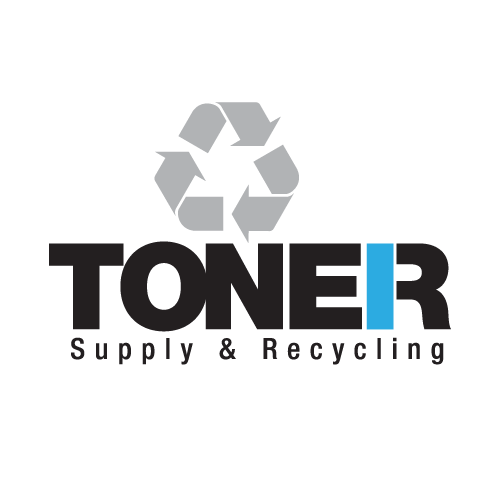 – Paying too much for toner? Our clients have better things to do. So do you! 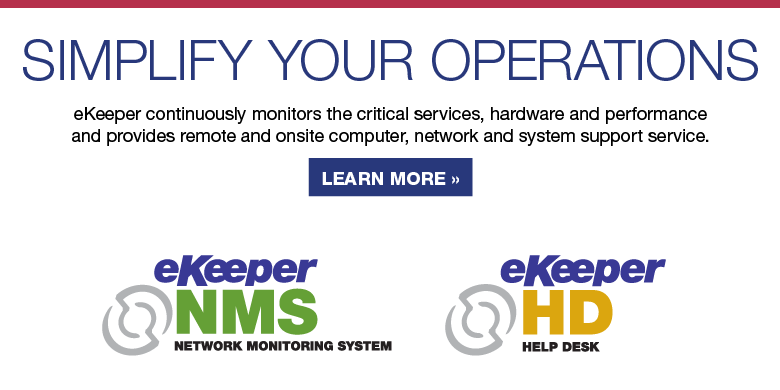 eKeeper Systems Incorporated is a consulting firm located in Yorktown, Indiana that specializes in designing, building, deploying and maintaining today’s information technology systems. Our company provides comprehensive computer, network and system support services to a diverse range of small, medium and large companies throughout Central Indiana. 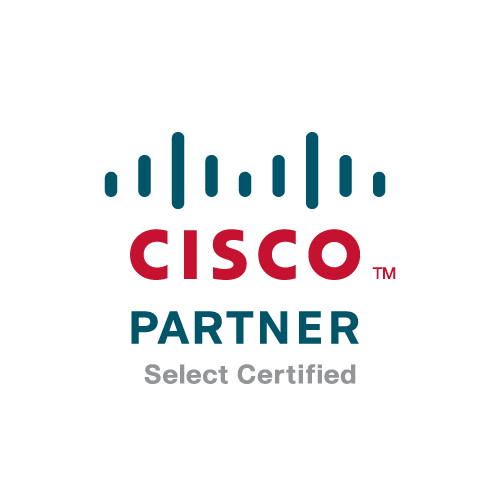 We pride ourselves in maintaining many industry leading certifications from the most prevalent manufacturers in the industry and we constantly strive to extend our technology experience into new areas every day. 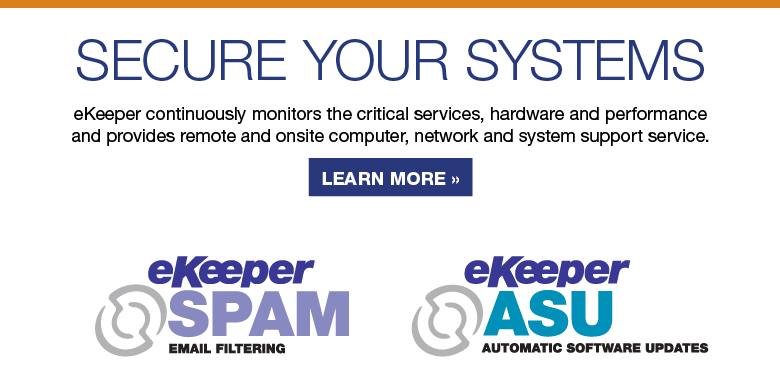 eKeeper Systems Incorporated strives to exceed our customers’ expectations on a daily basis. We provide 24×7 help desk services that allow us to be available when our customers need us the most – any time. We know that outstanding customer service is what separates one company from another and we want to be sure that each and every eKeeper customer is fully satisfied with our services. eKeeper does not view any customer relationship as a client/vendor relationship because we know that you need more than a vendor. 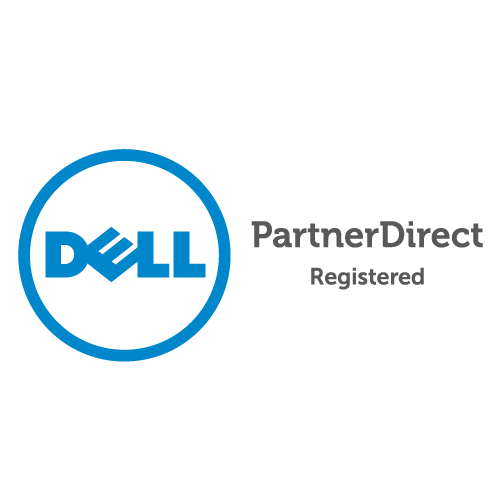 You need a partner – a technology partner that you can trust and a partner that will get things done when you need to get them done. 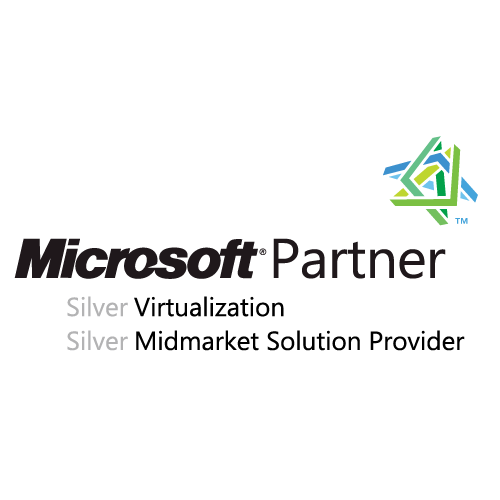 We know that your business relies on its technology and we know that you cannot fully succeed without it. 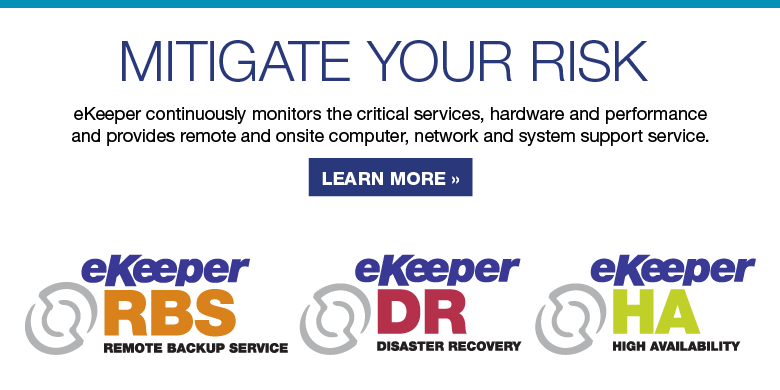 eKeeper Systems will provide the professional technology services that can help. We’d like to hear from you. 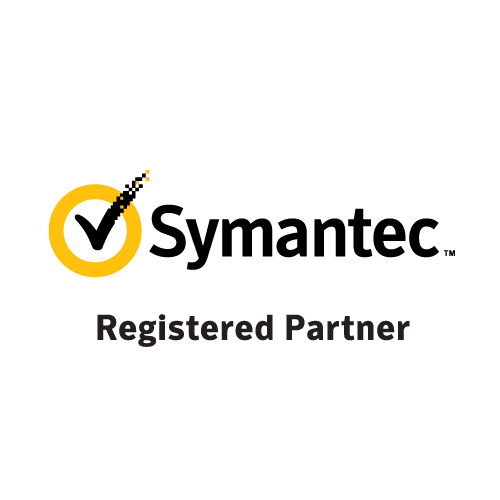 Please contact us if you have questions for one of our qualified experts.